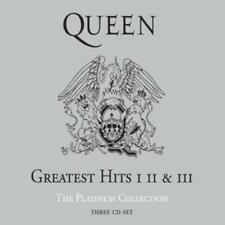 Queen : Greatest Hits I II & III: The Platinum Collection CD (2000)Title: Greatest Hits I II & III: The Platinum Collection Artist: Queen Genre: Rock/Pop|Rock Duration: 208 mins Format: CD / Album Type: CD No. Love Ain't No Stranger. THE BEST OF. Here I Go Again. Ain't No Love In The Heart Of The City. The Deeper The Love. Still Of The Night. Guilty Of Love. Standing In The Shadow. THE BEACH BOYS. Don't Worry Baby. When I Grow Up (To Be A Man). THE VERY BEST OF. Good Vibrations. 100% ORIGINAL PRODUCT. Cotton Fields (The Cotton Song). Break Away. 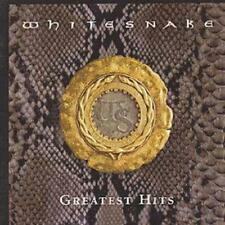 GREATEST HITS CD ALBUM. Running Up That Hill. THE WHOLE STORY. The Man With The Child In His Eyes. The Dreaming. Sat In Your Lap. Wuthering Heights (New Vocal). 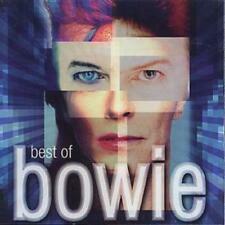 David Bowie : Best of Bowie CD (2002)Title: Best of Bowie Artist: David Bowie Genre: Rock/Pop|Rock Duration: 146 mins Format: CD / Album Type: CD No. 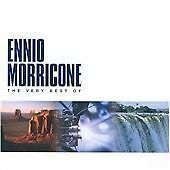 of Discs: 2 disc(s) Studio / Label: EMI Music UK UK Release Date: 04 Nov 2002. Of Discs: 1 disc(s) Studio / Label: EMI Music UK UK Release Date: 04 Jul 1994. Disc 1 14 Sweet Lady Luck (PREVIOUSLY UNAVAILABLE ON LP) 4.35 mins. Disc 1 13 Fool For Your Loving 4.11 mins. Disc 1 12 Crying in the Rain 5.37 mins. It's My Life. Life's What You Make It. THE VERY BEST OF. Give It Up (Single Version). Have You Heard The News. I Believe In You (Single Version). Living In Another World (Single Version). Eden (Edit). The Human League : Greatest Hits CD (1995)Title: Greatest Hits Artist: The Human League Genre: Rock/Pop|Pop Duration: 64.10 mins Format: CD / Album Type: CD No. of Discs: 1 disc(s) Studio / Label: Virgin Records UK Release Date: 30 Oct 1995. Robbie Williams : Greatest Hits CD (2004)Title: Greatest Hits Artist: Robbie Williams Genre: Rock/Pop|Pop Duration: 78.30 mins Format: CD / Album Type: CD No. of Discs: 1 disc(s) Studio / Label: EMI Music UK UK Release Date: 18 Oct 2004. Foot Tapper. 20 GOLDEN GREATS. THE SHADOWS. Man Of Mystery. 100% ORIGINAL PRODUCT. The Rise And Fall Of Flingel Bunt. The Frightened City. Genie With The Light Brown Lamp. Diana Ross : One Woman: THE ULTIMATE COLLECTION CD (1993)Title: One Woman: THE ULTIMATE COLLECTION Artist: Diana Ross Genre: R&B/Soul|Female Vocal Duration: 73.30 mins Format: CD / Album Type: CD No. Eternal : Greatest Hits CD (1997)Title: Greatest Hits Artist: Eternal Genre: R&B/Soul|Female Vocal Duration: 66.10 mins Format: CD / Album Type: CD No. of Discs: 1 disc(s) Studio / Label: EMI Music UK UK Release Date: 20 Oct 1997. MATT MONRO. THE VERY BEST OF. Around The World. Gonna Build A Mountain (from "Stop The World I Want To Get Off"). We're Gonna Change The World. 100% ORIGINAL PRODUCT. Portrait Of My Love. My Kind Of Girl. Artist Kim Wilde Title Greatest Hits -The Gold Collection- Release Date 1996-03-18 Label: EMI Records Number of Discs 1. 1 15 Chaos At The Airport. 1 5 Young Heroes. 1 20 Cambodia - Reprise. 1 19 Our Town. 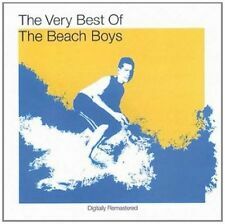 The Beach Boys - Greatest Hits (Rmst). Title:The Beach Boys - Greatest Hits (Rmst). Artist:The Beach Boys. Your item will be previously owned but still in great condition. The disc will play perfectly without interruption and the case, inlay notes and sleeve may show limited signs of wear. Of Discs: 1 disc(s) Studio / Label: Chrysalis UK Release Date: 02 Apr 2007. Disc 1 3 Let's Get Married 4.16 mins. Disc 1 5 The Doodle Song 2.30 mins. Disc 1 8 Ghost of Love 3.11 mins. Disc 1 9 Throw the 'R' Away 2.43 mins. Deep Purple - Deep Purple 30: Very Best of. Title:Deep Purple - Deep Purple 30: Very Best of. Artist:Deep Purple. Your item will be previously owned but still in great condition. The disc will play perfectly without interruption and the case, inlay notes and sleeve may show limited signs of wear. Jason Donovan : Greatest Hits CD (2006)Title: Greatest Hits Artist: Jason Donovan Genre: Rock/Pop|Pop Duration: 43.20 mins Format: CD / Album Type: CD No. of Discs: 1 disc(s) Studio / Label: EMI Music UK UK Release Date: 04 Dec 2006. Buzzcocks : Singles: Going Steady CD (2001)Title: Singles: Going Steady Artist: Buzzcocks Genre: Rock/Pop|Punk/New Wave Duration: 75.50 mins Format: CD / Album Type: CD No. of Discs: 1 disc(s) Studio / Label: EMI Music UK UK Release Date: 20 Aug 2001 Explicit Lyrics: Yes. Format: CD. Rare Collectables. Sale Corner. Classic Artists. Never Had A Love Like This Before. More Than A Woman. Essential Collection CD (1996)Title: Essential Collection Genre: General|tbc Duration: 52.10 mins Format: CD / Album Type: CD No. of Discs: 1 disc(s) Studio / Label: EMI Gold UK Release Date: 07 Oct 1996. 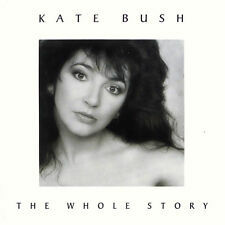 Kate Bush : The Whole Story CD (1986)Title: The Whole Story Artist: Kate Bush Genre: Rock/Pop|Singer/Songwriter Duration: 48.50 mins Format: CD / Album Type: CD No. of Discs: 1 disc(s) Studio / Label: EMI Music UK UK Release Date: 24 Nov 1986. Tavares : The Greatest Hits CD (2000) NEW Title: The Greatest Hits Artist: Tavares Genre: R&B/Soul|Male Vocal Duration: 69 mins Format: CD / Album Type: CD No. of Discs: 1 disc(s) Studio / Label: EMI Gold UK Release Date: 15 May 2000. Hot Chocolate : The Very Best Of Hot Chocolate CD (2000)Title: The Very Best Of Hot Chocolate Artist: Hot Chocolate Genre: R&B/Soul|Soul/R&B Duration: 72.40 mins Format: CD / Album Type: CD No. of Discs: 1 disc(s) Studio / Label: EMI Music UK UK Release Date: 28 Aug 2000. The Kooks : Inside In/inside Out CD (2006)Title: Inside In/inside Out Artist: The Kooks Genre: Rock/Pop|Pop Duration: 40.50 mins Format: CD / Album Type: CD No. of Discs: 1 disc(s) Studio / Label: Virgin Records UK Release Date: 23 Jan 2006. Shirley Bassey : This Is My Life: The Greatest Hits CD (2000)Title: This Is My Life: The Greatest Hits Artist: Shirley Bassey Genre: Easy Listening|Vocal - Female Duration: 68.10 mins Format: CD / Album Type: CD No. The Very Best Of Matt Monro. Title:The Very Best Of Matt Monro. Your item will be previously owned but still in great condition. The disc will play perfectly without interruption and the case, inlay notes and sleeve may show limited signs of wear. The Specials : Too Much Too Young CD (1996)Title: Too Much Too Young Artist: The Specials Genre: Rock/Pop|Ska Duration: 53 mins Format: CD / Album Type: CD No. of Discs: 1 disc(s) Studio / Label: EMI Gold UK Release Date: 13 May 1996. Jamie T : Panic Prevention CD (2007)Title: Panic Prevention Artist: Jamie T Genre: Rock/Pop|Indie/Alternative Duration: 49.20 mins Format: CD / Album Type: CD No. of Discs: 1 disc(s) Studio / Label: Virgin Records UK Release Date: 29 Jan 2007. Kate Bush : The Kick Inside CD (1994)Title: The Kick Inside Artist: Kate Bush Genre: Rock/Pop|Singer/Songwriter Duration: 43.10 mins Format: CD / Album Type: CD No. of Discs: 1 disc(s) Studio / Label: EMI Music UK UK Release Date: 12 Sep 1994. Hazell Dean : Greatest Hits CD (1996)Title: Greatest Hits Artist: Hazell Dean Genre: Rock/Pop|Pop Duration: 74.30 mins Format: CD / Album Type: CD No. of Discs: 1 disc(s) Studio / Label: EMI Gold UK Release Date: 13 May 1996. (Of Discs: 3 disc(s) Studio / Label: Virgin EMI Records UK Release Date: 14 Nov 2005. Disc 1 14 Reflection (From 'Mulan') 3.34 mins. Disc 1 12 He Lives in You (From 'The Lion King 2') 4.42 mins. Disc 3 20 Dancin' (A Catchy Rhythm) [from 'The Wonderful World of Disney' Parade at Disneyland Park) 3.50 mins. ]. Joe Cocker : Greatest Hits CD (1999)Title: Greatest Hits Artist: Joe Cocker Genre: Rock/Pop|Rock Duration: 77.20 mins Format: CD / Album Type: CD No. of Discs: 1 disc(s) Studio / Label: Parlophone UK Release Date: 08 Feb 1999. 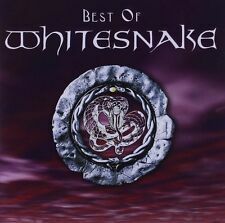 Best Of The Beast CD (1996)Title: Best Of The Beast Genre: General|tbc Duration: 78 mins Format: CD / Album Type: CD No. of Discs: 1 disc(s) Studio / Label: EMI Music UK UK Release Date: 07 Oct 1996. Of Discs: 1 disc(s) Studio / Label: Talking Heads Tours Inc. UK Release Date: 12 Oct 1992. Disc 1 10 Wild Wild Life 3.42 mins. Disc 1 4 Burning Down the House 4.02 mins. Disc 1 12 Flowers (Nothing But) 5.34 mins. Of Discs: 2 disc(s) Studio / Label: Hut UK Release Date: 23 Oct 1995. Disc 1 13 Porcelina of the Vast Oceans 9.21 mins. Disc 2 4 In the Arms of Sleep 4.12 mins. Disc 2 7 Thru the Eyes of Ruby 7.38 mins. MATT MONRO. THE VERY BEST OF. AROUND THE WORLD. PORTRAIT OF MY LOVE. THE IMPOSSIBLE DREAM. MY KIND OF GIRL. WE'RE GONNA CHANGE THE WORLD. SPEAK SOFTLY LOVE. CD (1987)Title: All the Best! of Discs: 1 disc(s) Studio / Label: Parlophone UK Release Date: 02 Nov 1987. Disc 1 2 Band On the Run 5.13 mins. Disc 1 5 Listen to What the Man Said 3.57 mins. Disc 1 16 We All Stand Together 4.24 mins. Roxette : Dont Bore Us - Get To The Chorus! Artist Roxette Title Dont Bore Us - Get To The Chorus! Roxettes Greatest Hits Release Date 1995-10-23 Label: EMI Records Number of Discs 1. 1 15 Crash! (Single Edit). Kate Bush : Hounds of Love CD (2000)Title: Hounds of Love Artist: Kate Bush Genre: Rock/Pop|Singer/Songwriter Duration: 73.10 mins Format: CD / Album Type: CD No. of Discs: 1 disc(s) Studio / Label: EMI Music UK UK Release Date: 24 Jan 2000. Endless Love - Ross, Diana & Lionel Richie. Best Years Of My Life. Chain Reaction. Why Do Fools Fall In Love. Morrissey : The Best Of Morrissey: 'Suedehead' CD (1997)Title: The Best Of Morrissey: 'Suedehead' Artist: Morrissey Genre: Rock/Pop|Indie/Alternative Duration: 71.50 mins Format: CD / Album Type: CD No. David Guetta : Nothing But the Beat CD (2011)Title: Nothing But the Beat Artist: David Guetta Genre: Dance|House Duration: 88.22 mins Format: CD / Album Type: CD No. of Discs: 2 disc(s) Studio / Label: Virgin Records UK Release Date: 29 Aug 2011. Peter Gabriel : Hit: The Definitive Two CD Collection CD (2003)Title: Hit: The Definitive Two CD Collection Artist: Peter Gabriel Genre: Rock/Pop|Rock Duration: 150 mins Format: CD / Album Type: CD No. Ricky Nelson : 25 Greatest Hits CD (1998)Title: 25 Greatest Hits Artist: Ricky Nelson Genre: Rock and Roll|Rock and Roll Duration: 54.40 mins Format: CD / Album Type: CD No. of Discs: 1 disc(s) Studio / Label: EMI Gold UK Release Date: 06 Jul 1998. Diana Ross : Love And Life: The Very Best Of Diana Ross CD (2001)Title: Love And Life: The Very Best Of Diana Ross Artist: Diana Ross Genre: R&B/Soul|Female Vocal Duration: 148 mins Format: CD / Album Type: CD No. Canned Heat : The Very Best Of Canned Heat CD (2000)Title: The Very Best Of Canned Heat Artist: Canned Heat Genre: Rock/Pop|Blues-Rock Duration: 73.20 mins Format: CD / Album Type: CD No. of Discs: 1 disc(s) Studio / Label: EMI Gold UK Release Date: 15 May 2000.